A kangaroo has died after visitors to a zoo threw bricks at her to make her hop. 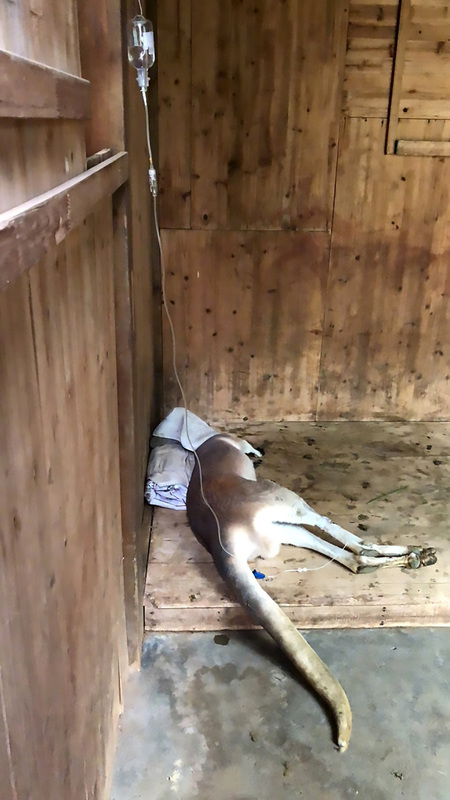 The 12-year-old female kangaroo was living at the Fuzhou Zoo in East China’s Fujian Province until she was killed last month. According to vet Chen Xiaoli she died of internal bleeding caused by a suspected ruptured kidney. 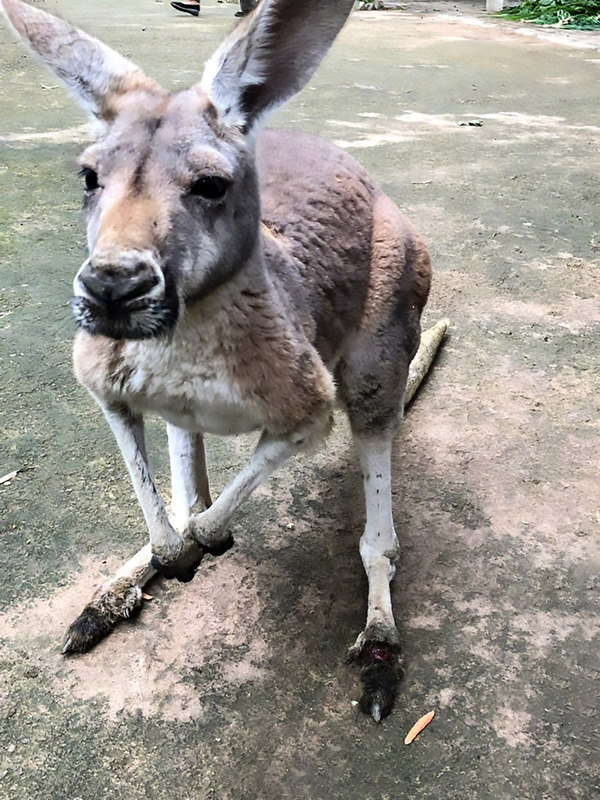 The zoo released images of the kangaroo shortly before she died, where a wound could be seen on her foot which was believed to be caused by one of the bricks. 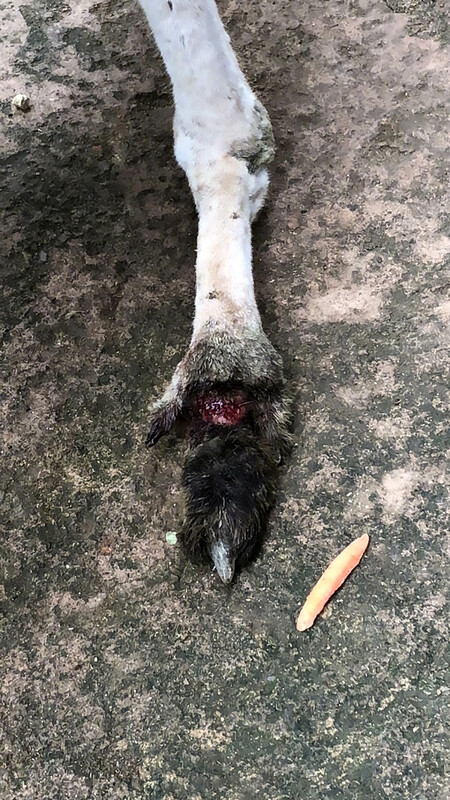 The vet said: “A staff member spotted bricks being thrown into [the enclosure] and went out to seek out the culprits, but no one owned up to it. The kangaroo died three days later, with the vet believing she died of a ruptured kidney. The vet said that only weeks later a five-year-old male kangaroo also sustained injuries after people threw bricks into the enclosure. Chen added: Chen said: “Visitors usually come after 10.30am. That’s after zookeepers have fed [the kangaroos], so they’re full and resting. Jason Baker, Asia Vice President of PETA, commented: “Cruel acts like this are yet another danger that animals in zoos face. “Visitors also do animals harm by throwing food and garbage into their enclosures, causing them extreme stress. “Installing CCTV cameras won’t solve the problem – as long as people purchase tickets to the zoo, animals will continue to be at risk. The zoo is now planning to install a CCTV system in hopes of stopping similar incidents or to capture any culprits who are attempting to torment the animals.